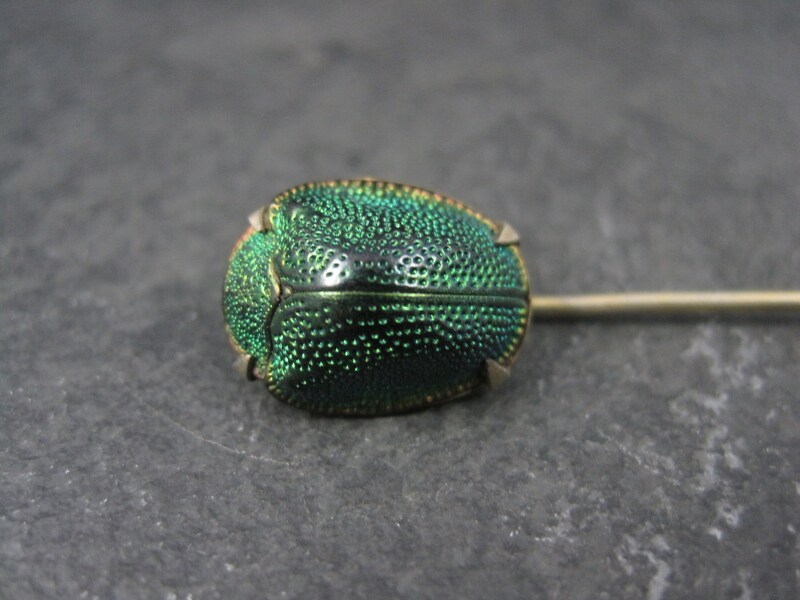 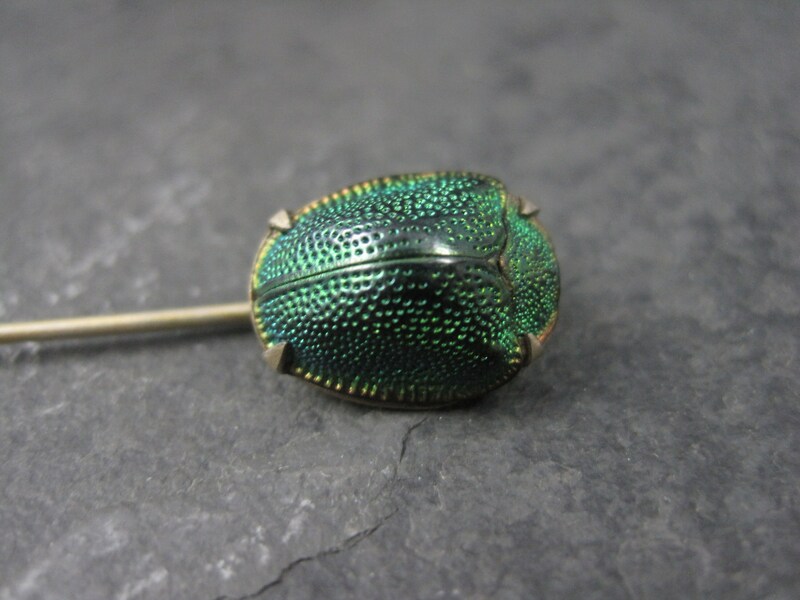 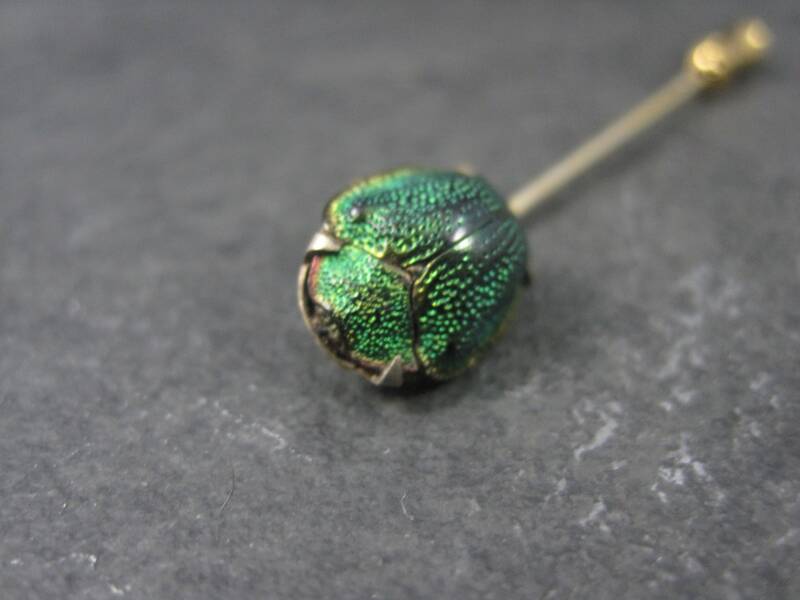 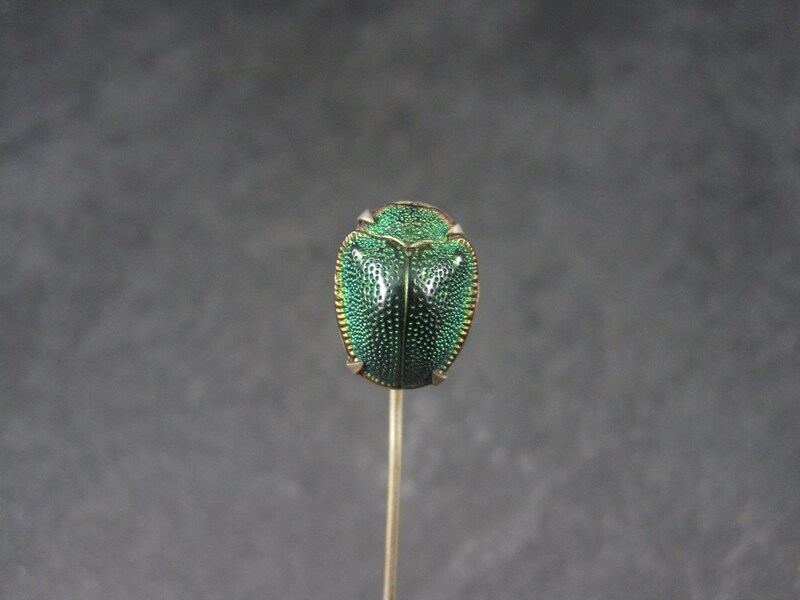 This gorgeous Victorian stick pin features a real scarab beetle. 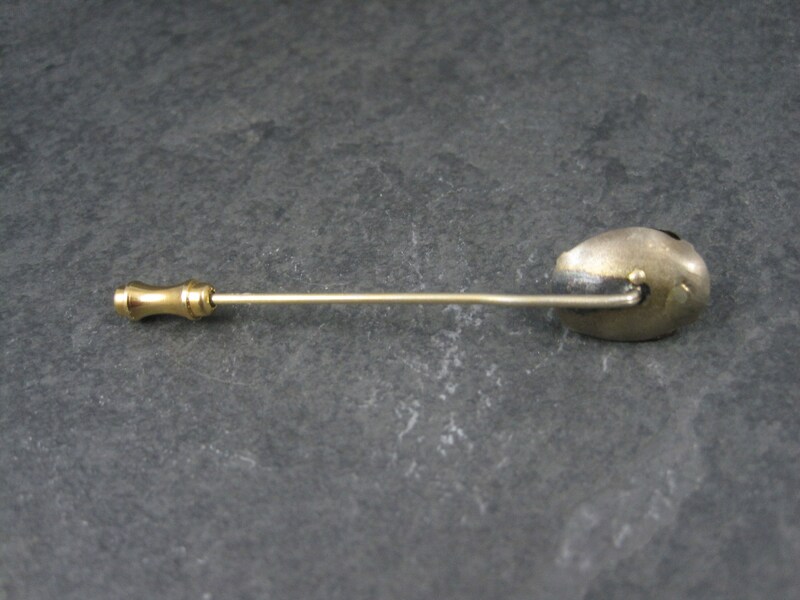 The metal seems to be brass. 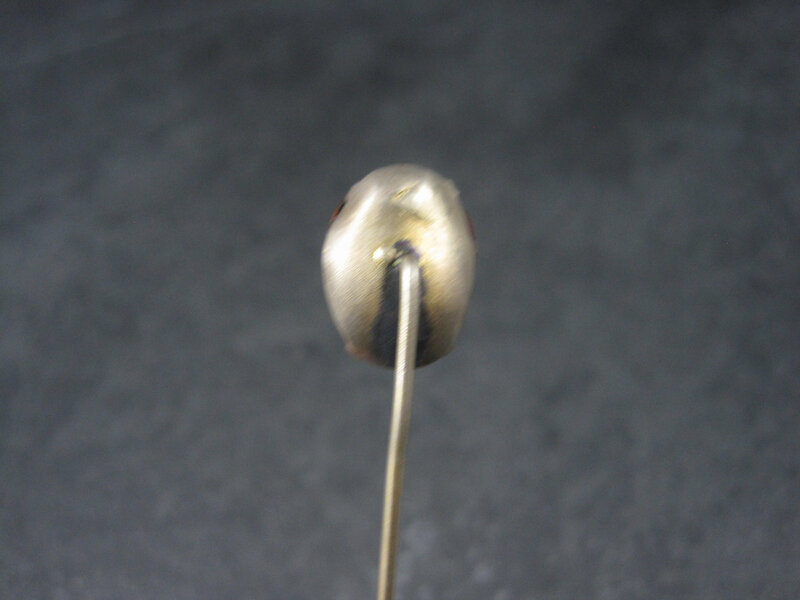 The head of this pin measures 1/2 by 5/8 of an inch. 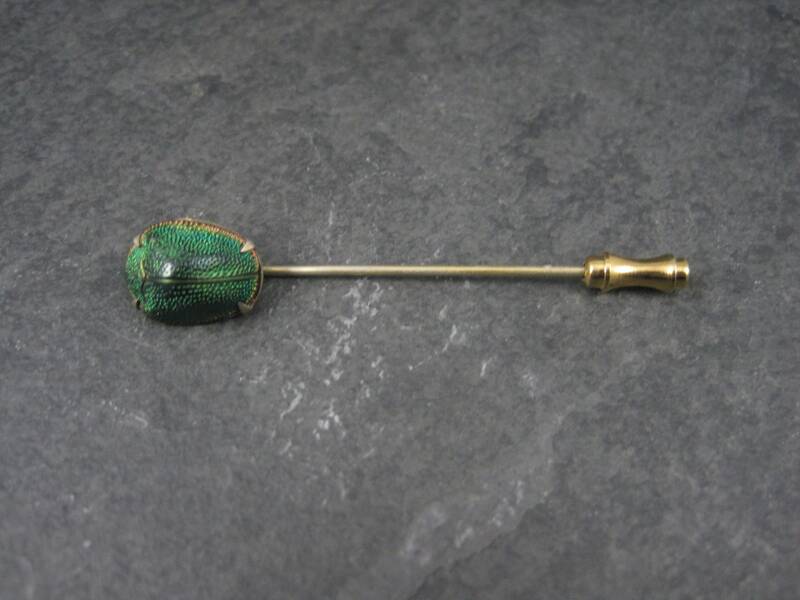 The pin is 2 7/16 inches long.